The only teensy issue here is that eBay has seen fit to cap the maximum discount at £100. 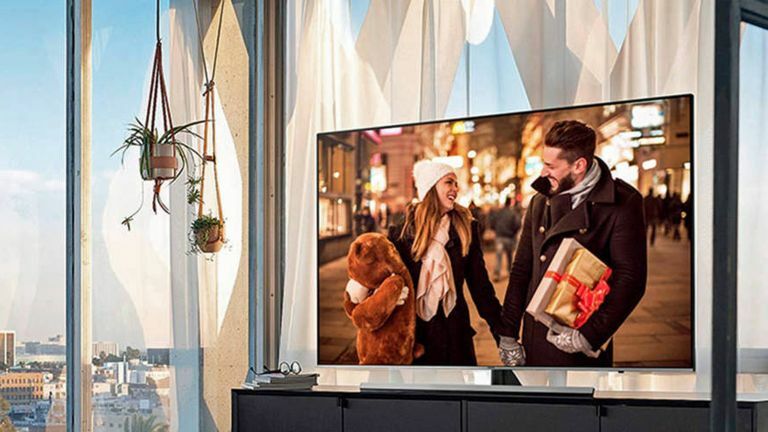 So if you buy this 1700 quid Samsung UE65NU8000 65 Inch 4K TV, you're not really totally winning, although it does end up cheaper than at John Lewis for instance. Although there you can do a £200 cashback deal if you buy a Samsung soundbar too. Confusing innit? Anyway, there is 20% (up to a maximum of £100) on a wide range of TV and audio gear. However, if you stick to something like a KitchenAid gadget such as this classic blender, you get a discounted price to start with (because it's refurbed stock – with warranty – and that rather fetching blue colour has been discontinued) and then there's an extra 20% off this and a welter of other kitchen appliances, and that is a DEAL. Finally if you're after men's clothing, which in this case mainly seems to mean SuperDry, there's a further 20% off sale items from that brand, too. So, if you're a cool dad who's worried he might be becoming out of touch with fashion, or perhaps eastern European, get stuck in!